In many of our landscapes, it’s not unusual to come across an individual dressed in full traditional garb—with a cell phone clipped to his belt. On the one hand, this image is startlingly incongruous. On the other, it’s the embodiment of how this continent works: embracing its cultural history while also welcoming future innovations. One of the best things about this mix of Old World and new technology is how it can level the playing field for those who live—and work—in Africa’s rural areas. African Wildlife Foundation has leveraged innovations as varied as VSAT and handheld GPS devices to work more efficiently in the field. As important, we’ve brought new technologies directly to rural communities, allowing them to leapfrog over gaps in infrastructure and resources. 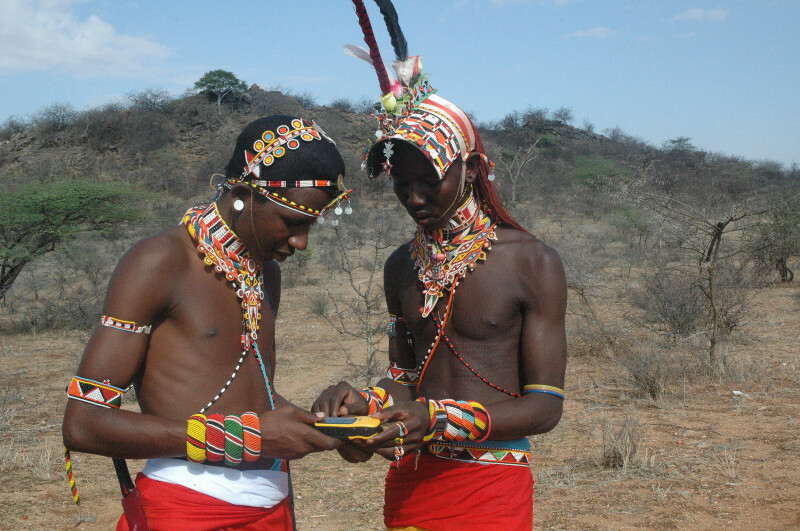 Our efforts have been particularly effective through the AWF Conservation Schools (ACS) program. In northern Tanzania, AWF built an IT lab at our flagship Manyara Ranch Primary School, enabling students to learn desktop computing sills from a young age. We supplied solar panels for the teacher houses at Lupani Primary School in rural Zambia so teachers can plan their lessons even after night fell. We’re now experimenting with the idea of tablets that contain both academic lessons and books—and continue to learn more about how best to use technology for conservation. Of course, education is sometimes most effective when delivered the old-fashioned way—i.e., in person. In the Congo landscape, arguably one of the most remote areas on the continent, AWF has worked closely with communities for the past 10 years to increase their understanding of the benefits of conservation. And we’ve been very successful. Credit goes to our staff on the ground who, alongside with our partners, has accomplished a lot by listening, and teaching—through countless workshops, community meetings and one-on-one discussions. Whether we employ methods new or tried-and-true, the one common factor in our work continues to be the tremendous support we receive from people like you. With your commitment to Africa, we can surely continue to build conservation capacity among Africa’s people and protect its wildlife for years to come. Learn more about our community empowerment efforts. Patrick found his love for Africa while serving in the Peace Corps in Tanzania and initially joined African Wildlife Foundation as a Community Conservation Project Officer in 1990. Within AWF, Patrick has pioneered initiatives that forge linkages between conservation and human well-being. Patrick was appointed Chief Executive Officer in 2002 and under his leadership, AWF has seen significant growth and change, including the formulation of AWF’s successful large-landscape approach to conservation, the establishment of our Nairobi-based headquarters, internationalization of AWF’s Board of Trustees, and a tripling of AWF’s operating budget. Patrick holds an M.S. in the management of extension systems from the University of Illinois at Urbana-Champaign and a Ph.D. in development from the University of East Anglia in the United Kingdom. He also serves on the Advisory Council to the Presidential Task Force on Wildlife Trafficking.